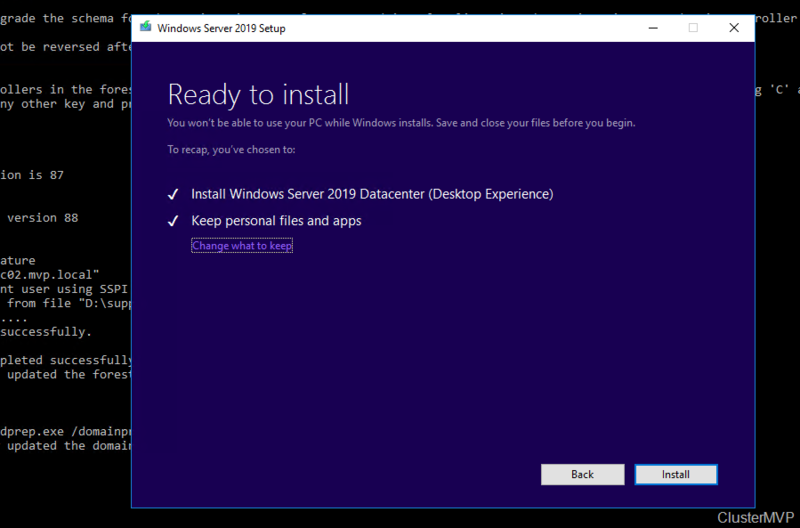 If you want to upgrade your domain controller and make this ready for server 2019. In this case I have only one Domain controller running server 2016. If you press any other key than the C it will quit the upgrade. No reboot is needed, go back to the Setup press refresh and the setup will continue. 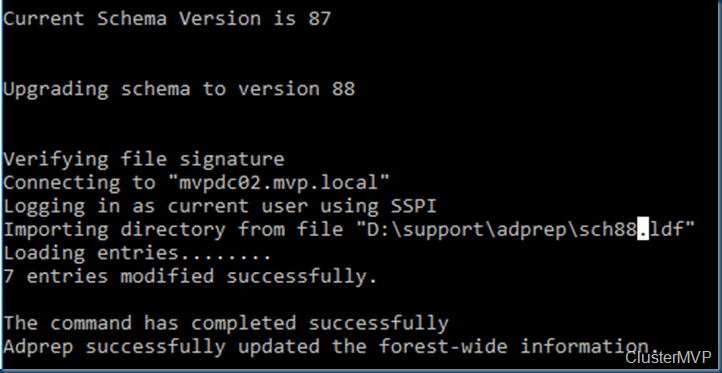 If the installation fails keep an eye on the error code. In this case I had a simulation of this and I skipped some updates. 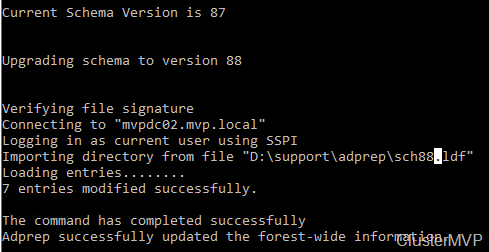 Checked the code and see the solution. An error that begins with 0xC1900101 is usually a driver error. If you see any of these error codes, try the following steps first to fix the problem. If these steps don’t work, see Resolve Windows 10 upgrade errors for more detailed technical info. Make sure that your device has enough space. Your device requires at least 16 GB of free space to upgrade a 32-bit OS, or 20 GB for a 64-bit OS. For more info, ﻿see Free up drive space in Windows 10﻿. 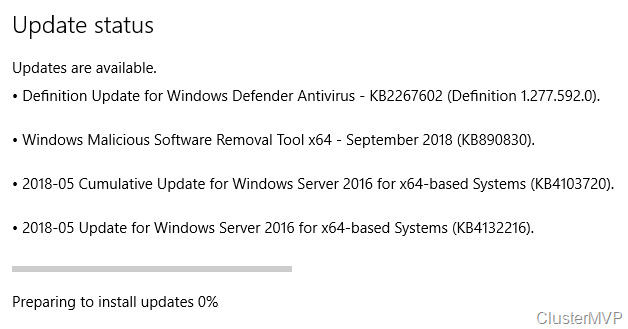 Run Windows Update a few times. 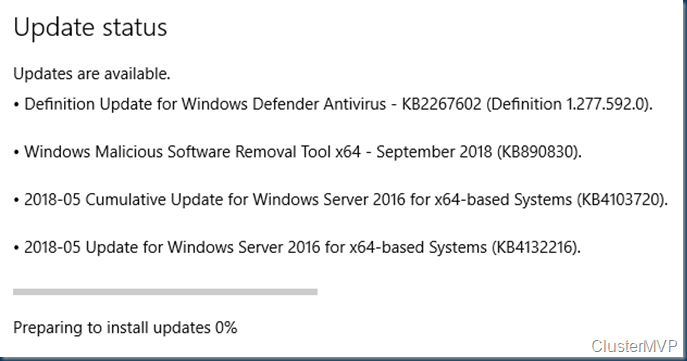 Download and install any available updates in Windows Update, including software updates, hardware updates, and some third-party drivers. Use the troubleshooter for Windows 10 to fix Windows Update errors. Check third-party drivers and download any updates. You can find third-party drivers and installation instructions for any hardware you’ve added to your device on the manufacturer’s website. Unplug extra hardware. Remove all external storage devices and drives, docks, and other hardware you might have plugged into your device that isn’t needed for basic functionality. Check Device Manager for errors. Select the Start button, then in the search box on the taskbar, type device manager. Choose Device Manager from the results. In the window that pops up, look for any device with a yellow exclamation mark beside it (you may have to select each category to switch to the list of devices). Press and hold (or right-click) the device name and select either Update Driver Software or Uninstall to correct the errors. Remove third-party security software. Make sure you know how to reinstall your programs and that any necessary product keys are on hand. Windows Defender will help protect your device in the meantime. Repair hard-drive errors. Select the Start button, then in the search box on the taskbar, type command prompt. Choose Command Prompt from the list of results. In the window that pops up, type chkdsk/f C: and press the Enter key. Repairs automatically start on your hard drive, and you’ll be asked to restart your device. I did do Option 2 and see the updates and installed it and retried the upgrade again and it worked without any issue. 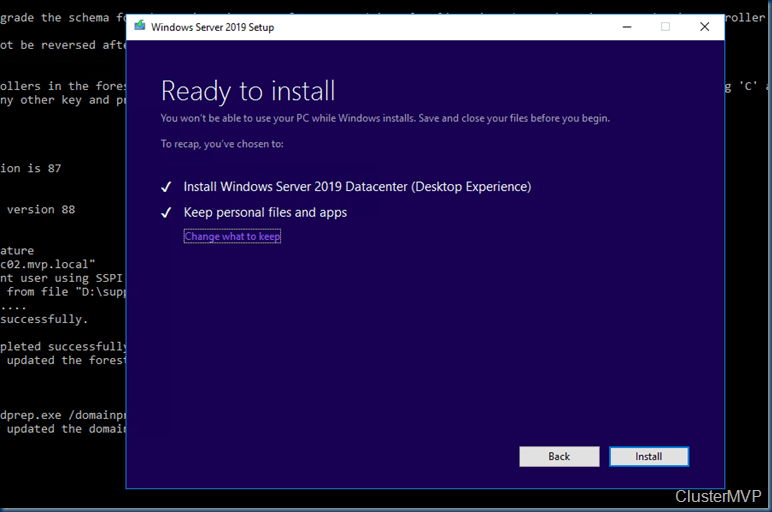 informational Artiel about Upgrading Window server And Do you Which are The 10 best hosting Providers in 2019.